This activity addresses Massachusetts science standard 7.MS-LS2-3. 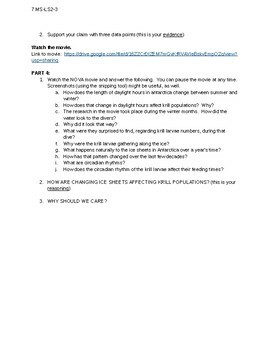 It has questions and activities all related to the NOVA movie entitled "Mystery Beneath the Ice" which deals with changing krill populations around Antarctica. 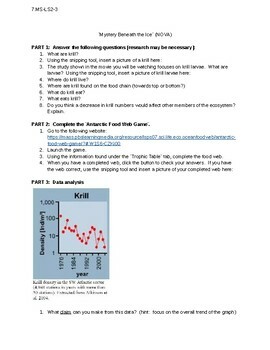 The document contains a link to an online food web activity (no subscription required) and a link to the movie, as well.